Hi Ladies! 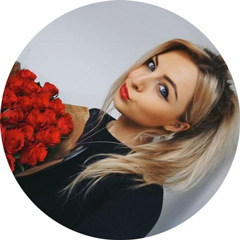 So its that time again where the lovely ladies who have been over in my sidebar for the past month get to introduce themselves and their blogs to all of my lovely readers. They are all fantastic girls and each and every one of their blogs is a great read. Keep reading this post to find out a little bit more about them and make sure you click on the link to their blogs and follow if you like what you see! I also have a fab jewellery shop featured which is definitely worth checking out with Christmas just around the corner. Wonderful You began, like most blogs do – reading others and thinking why can’t I give it a shot?! It’s a hobby that I thoroughly enjoy and it’s such a fantastic network to meet other lovely people who have the same interests as you. It’s my little secret, and not many people in the ‘real world’ know about it yet. Although, I’m starting to become more comfortable with the idea the more I write! It’s a bit of a mixed bag – I love photography & enjoy sharing what I learn with my readers. My fashion sense is mainly high street based, but when it comes to skincare I like to make a splurge and go for the more luxury brands. Well, we’ve gotta keep those wrinkles at bay eh ladies? 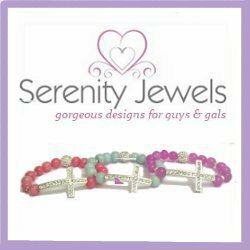 Serenity Jewels is a fresh, new & on trend jewellery brand that designs gorgeous statement jewellery for both guys & girls. Designed Becky Jacobs, each piece is handcrafted using Semi Precious gemstones, freshwater pearls & Swarovski elements. From every day bracelet stacks to Saturday night sparkle pieces, Serenity Jewels offers jewellery for every occasion, outfit & mood. So a little about the designer… I’m basically a fashion crazy, beauty obsessed, lover of anything girly!! Vogue is my bible & Carrie Bradshaw my god ;-) I started hand crafting my own designs because I couldn’t find what I wanted on the high street for a special night out! My other half thought if I made my own pieces I’d stop spending so much on the high street… how wrong was he?! I now love nothing more than sourcing new semi precious beads & charms from all over the world. I don’t think my postman is quite as enthusiastic about all the deliveries! Over the past few months i’ve been humbled by the reaction Serenity Jewels has had, I love nothing more than sending out items to guys & gals and seeing people wear my items. It’s such an amazingly surreal feeling! Hello lovelies, my name is Nia and I blog over at cherryfashion. My name is Coco and I'm a 20 year old engineering students who has always wanted to do something makeup related on the side. My studies don't generally mesh with things that are beauty related, so after years of reading numerous blogs I decided to make my own. I have found the most amazing and supportive community that has fueled my passion for experimenting with makeup. I love to share my opinion on products, so I post many reviews that can help you research before you buy. Having a blog has made me more experimental so you will see me trying out makeup trends, using fun bright colors, and featuring a wide spectrum of beauty products. Hey girls- my name is Liz and I'm from London. My blog is called Lizabellys and can be found at www.lizabellys.com. It's all about my favourite things; fashion, beauty and the occasional lifestyle post. I absolutely love fashion and mixing high street pieces with investment accessories - I'm a little bit of a handbag addict! I have just started my own YouTube channel too which can be found at www.youtube.com/lizabelly1 which is a combination of favourites and hauls at the moment. I really hope you enjoy them. Let me know if you do - my twitter is @lizabelly and I'd love to hear from you! I hope you enjoyed getting to know a little bit about these ladies and their fabulous blogs. If you want to go check them out (I'm sure they would really appreciate it! ), I have linked their blogs in the title of each of their paragraphs. I have thoroughly enjoyed reading them all and a few of them have even become firm favourites! If you want to see your blog or shop featured in this post you can have a look at my advertising packages here. I only have one Large package left for next month so if you want it, email me as soon as possible. Thank you! Fabulous post . i really like the concept of yours. it is quite helpful for people's who wants to look good with their styles.